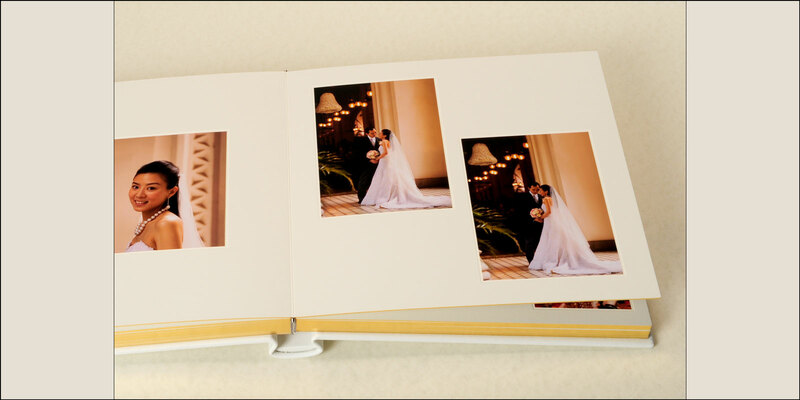 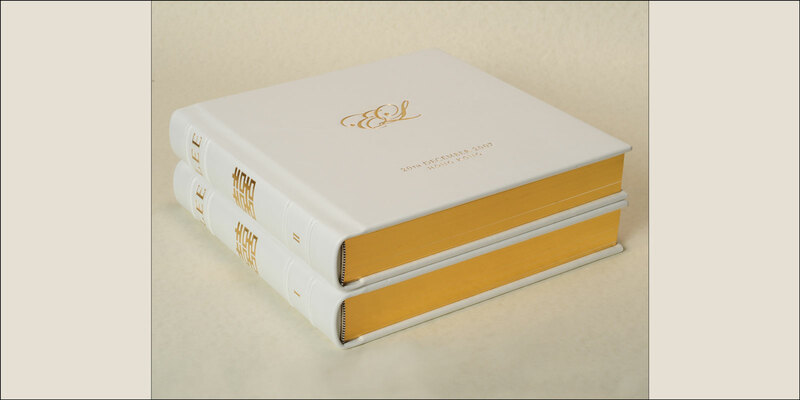 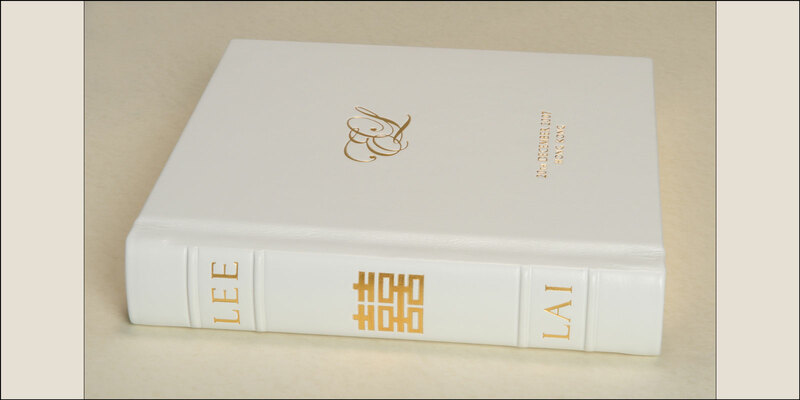 This leather bound album features supple white leather binding, genuine 24 Karat Gold Tooling, Spine Stamping and Edge Gilding, and a custom extra thick invitation insert page. 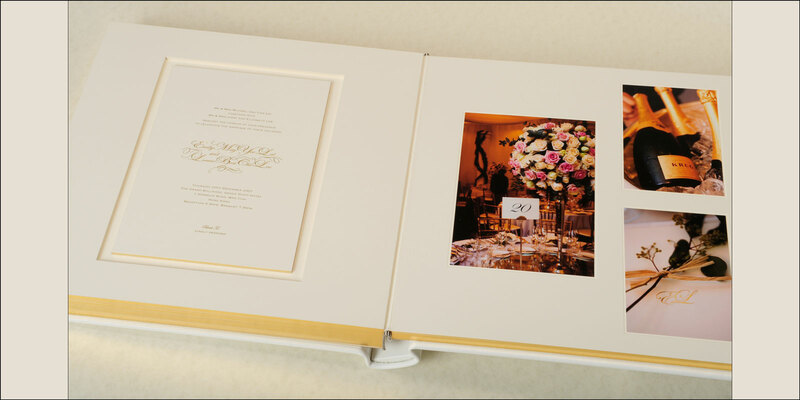 This album may be customized in nearly infinite ways to suit your needs. 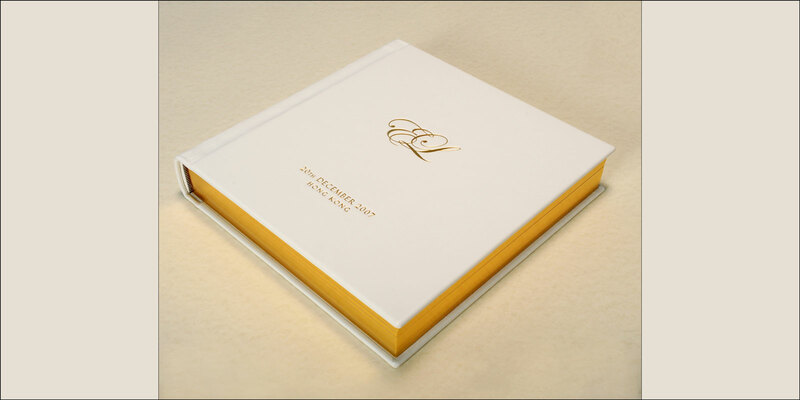 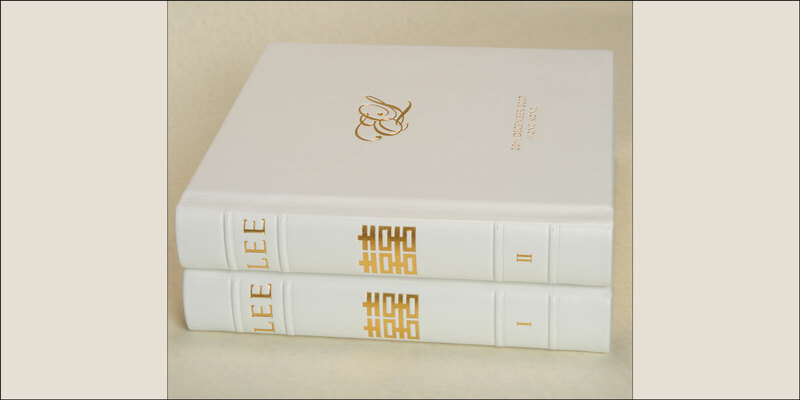 Leather color and animal of origin, number of pages, size, paper options, printing styles, finishing techniques and fonts are just some of the aspects of our albums that you have control over. 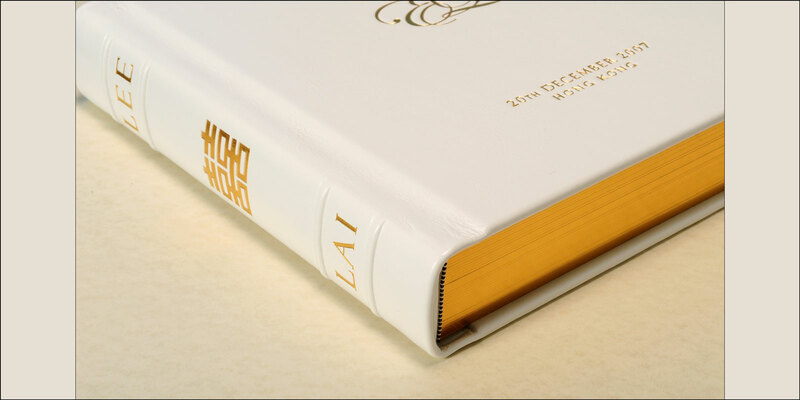 There are no limits to where your imagination can take you.